There’s no doubt about it, websites are the new shop front and if you don’t have one, you could be missing out on a lot of customers. However it doesn’t have to be expensive. Gone are the days when you would have to pay a specific web builder to sit and code a site for you, there are so many online tools that can help you do it much cheaper and also have full control over your site. Granted it’s not as easy as sitting back and let someone else do the hard work however it’s really important for you to learn the workings of your site as it could save you a lot of money. We’re going to take you through week by week building your own site and continually refining and optimising it so that you’re getting people’s attention. So what are you waiting for? Get building! Building a free site is great to get your business moving, but it does have certain limitations. This includes not having your own domain name (such as www.ebay.co.uk or www.asos.co.uk) and also not having full freedom to design and add things where you want. If you want to build something basic and see where it goes from there then follow the guide below, otherwise skip straight to our low-cost section. Okay we’re going to suggest the two w’s to you. WordPress and Wix. Two places that allow you to build on their online platforms, choose from a range of different templates and customising them with your logo and content. The drawback to them both is that you will have the words Wix or WordPress in your domain name, which can look a bit unprofessional if you’re taking in money and operating as a professional entity, however if you’re looking for a trial run, this is the perfect opportunity. Head to wordpress.com, create a free account and get started. They’ll take you through a really simple set up process where you name your site and pick one of their templates. (Make sure to try a few different ones to see how they look before modifying anything.) You are very restricted on what you can do with the templates, so make sure to pick one that has the general structure of what you’re looking for and go from there. 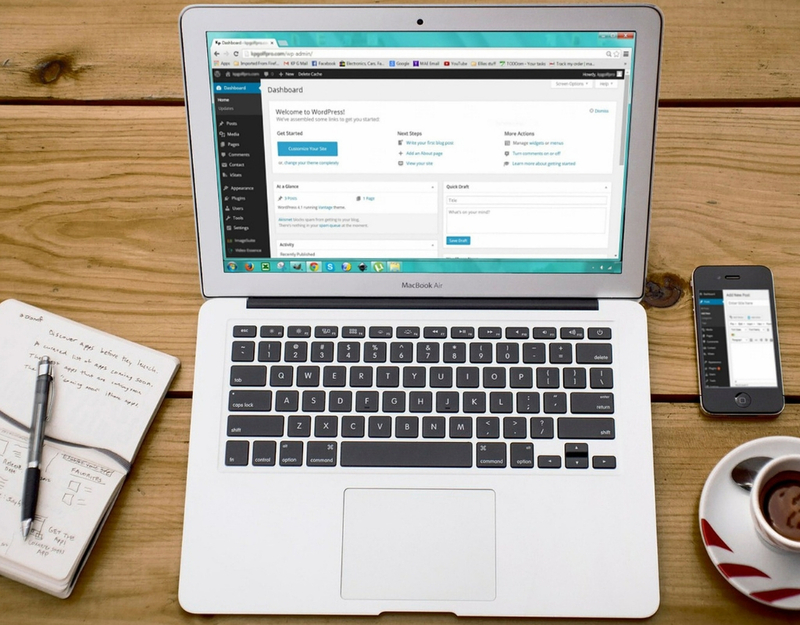 The best thing about creating a site with wordpress is that around 30% of websites are built on the platform. It sounds small but in comparison to the big wide web, that’s a massive amount, so working your way around and getting familiar with the different tools and widgets they use now could save you a lot of time later. Wix is a bit like marmite for many, you can have a simple site up in minutes using the online builder but if you have a specific vision in mind, it can take serious time to get it perfect. There’s no harm in trying to see if it fits with you and your business though. Head over to https://www.wix.com and get started. Everything is clearly labelled and the site has a dedicated guide to help you through. One of the best places to register a domain name is with GoDaddy.com. They have an excellent customer service and also every hosting provider and platform is aware of them and has specific ‘how to’ guides for doing everything on the site. Many of the sites cost as little as 99p and they have a brilliant search tool that allows to see if your site name is free. Just as you pay rent on a store, you also need to pay rent on that tiny bit of internet space, but instead of that annoying landlord, you’ll have a pretty slick hosting provider. This is usually the priciest part so have a shop round, some providers have special offers depending on how you pay or the time of year. Our favourite is Bluehost. Simply because of the instant customer service support it provides and also the WordPress package they have that takes minutes to set up. They also have an instant chat function that means you’ll be talking to an expert for free in minutes that can access your account and help you iron out any problems. Prices start from around 3.50 per month (this can change dependant on offers.) To sign up for an account click here. 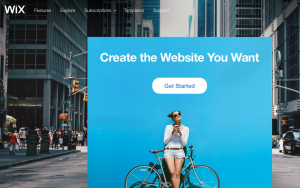 What you actually want your site to look like? Do you have an idea in your head? If so start drawing it out on paper and start with your site map. Put your homepage at the top of a piece of paper and then underneath fill in exactly what different pages you’re to need. Is your site just going to be one long homepage with information then a booking application or call to action at the bottom. Or are you going to have many different pages with an about section and case studies. Figure out exactly what you want your site to achieve and work back from there. Unless you’ve chosen to go with one of the hosting providers above using their drag and drop methods. 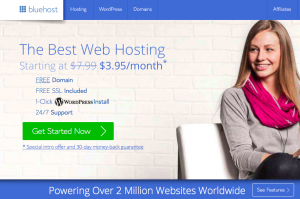 We would have to suggest using the Bluehost wordpress hosting and using a dedicated theme bought from themeforest.net. 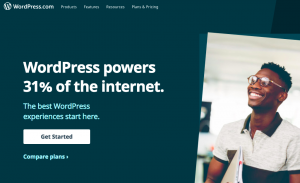 On this site you’ll find the biggest collection of wordpress templates, so even if you’ve decided not to use the platform, you can see some brilliant website examples. A few things if you do go through Theme Forest, when you’ve found the theme you like, scroll to the bottom of the page and check for a number of features because it will make your website building journey a lot easier. WP Bakery or Visual Composer – a drag and drop easy layout building system, meaning no coding required if you want to change key parts of the site. Revolution Slider – more of an advanced tool but can be great to use and make interactive cover graphics once you grasp the basics. WooCommerce – if you’ve got things to sell and want to build an online shop this is KEY. Before you press the buy key also double check you’re definitely purchasing a WordPress compatible theme in the software version section and then go for it! Once you purchase a theme you’ll be able to download a file with the full site inside. All this then takes is you to log-in to your wordpress site and install it by going to appearance and themes from the dashboard. Upload your site, then bingo you’re online. SORTED. You should have your low-cost site ready to populate. Make sure to keep an eye on sharplife.co.uk and our feeds as we’ll be posting guides weekly to get your website off the ground and grabbing your potential customers’ attention.